Mold had affected us all at one point or another. Some molds contain fungi which use humans as hosts and invade the body, and others just want to chill on you. Nevertheless, they are things we could gladly live without. Trichophyton is a collection of mold that infects the exterior of the human body, animals and soil. This means that it does not infect you internally as if only infects your hair, skin and nails. There are multiple species within the fungi, about 20, and they spread through the distribution of spores. All these different kind of species affect the human body and animals. Some aren’t able to survive on human hosts and others are. What are known Trichophyton species? Trichophyton concentrium. Leads to tinea corporis. It affects humans, usually located in the South East Asia, Pacific, Central and South America. Trichophyton equinium. It affects animals and it causes ringworm in horses. It can be found everywhere in the world but only one particular strain can be found in Australia and New Zealand. Trichophyton erinacei. It affects hedgehods and the mites (skin layer) that go on Hedgehogs. It can also affect humans (skin, nails and hair). Only found in Europe and New Zealand. Trichophyton interdigitale. Causes tinea pedis as well as tinea corporis. It affects humans and infects the scalp and nails. Trichophyton mentagrophytes. It affects many animals such as pigs, cats sheep and rabbits. It is found all over the world. Infects humans as well, causes skin and scalp issues. Trichophyton quinckeanum. It affects mice and it affects the hair. Trichophyton rubrum. Wide spread among humans and more specifically, their nails and skin. 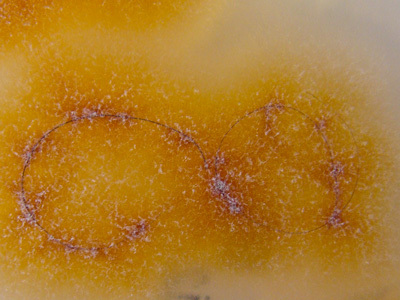 Trichophyton schoenleinii. Causes a chronic form of favus. It affects humans and affects the scalp. Trichophyton mentagrophytes. It affects human and animals. Spreads radically in moist areas. Trichophyton rubrum. Very common type of fungi that is mostly prevalent in humans and animals. Where can you find Trichophyton mold in your home? 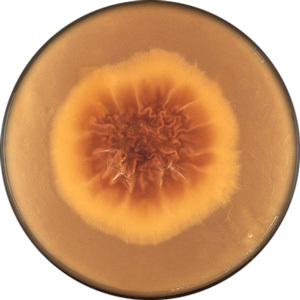 Trichophyton mold can be found almost everywhere, as Trichophyton is a tricky fungi which rather exist through hosts such as soil, animals and humans. Trichophyton flourishes mostly in moist areas. Areas such as sweaty skin and moist skin on humans, and wet and moist soil. Essentially, through these species of Trichophyton, they are, as previously mentioned, transmitted through humans or animals or soil. In the case of humans, they are spread specifically through sharing of objects like socks, shower caps, towels and hair brushes. Trichophyton is basically transmitted through skin to skin contact. If a spore lands on you, and you’re sweating, you’ve got a problem. Trichophyton is caused by spores landing in an area where in which there is a lot of moisture. This can cause a ripple effect of people, pets and objects getting contaminated. Once the spores settle in an area where in which there is no intervention of some sought, Trichophyton will spread like a house on fire. Remember, since Trichophyton is a collection of fungi, it will spread just as fungi does. These spores can be carried in water or in extremely humid places and spread when the wind blows etc. What diseases are caused by Trichophyton? We’ve all heard at one point, someone having a mold infection. I know, it’s easy to assume that unclean people would only get these infections but that isn’t the case, you and I could even get it. It’s all starts with Trichophyton Rubrum. 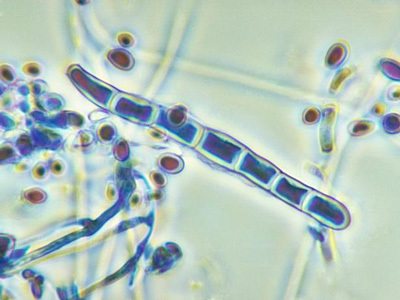 This form of Trichophyton is a fungus that solely affects the skin, and nothing else. It also causes tinea pedis, as we know it, Athletes Foot. How Trichophyton causes Athletes Foot? Moist environments are perfect for Trichophyton. If you happen to walk into a shower or around a swimming pool, you could either get contaminated by another individual or step on it. 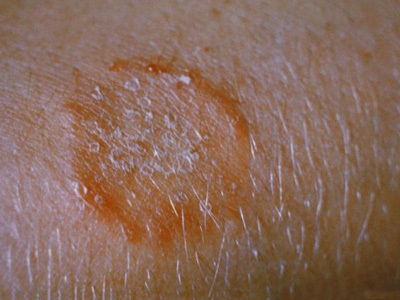 Trichophyton is the most common cause for ringworm in humans. One can contract it through contact with a person who has it or the actual fungus on objects which are contaminated. Tinea barbae affects the neck and chest area. Tinea faciei affects the face. Oh yes, definitely. Many diseases can be contracted by touching an infected person, stepping on an infected area or an contaminated object. The only way to be sure in its identity is checking its symptoms. Symptoms may vary depending on which disease you have contracted. You have round, scaly and extremely itchy marks on your: arms, feet, face, neck, chest or groin. 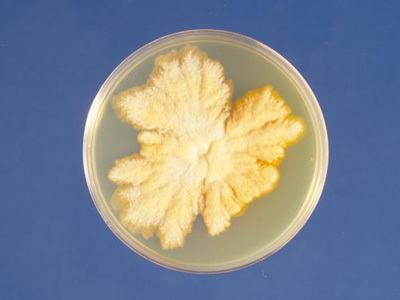 In case you suspect in Trichophyton, the best way to identify it is with professional mold testing service. If you have gotten one of the diseases caused by Trichophyton, be sure to go to the doctor. Especially if it doesn’t got away within 2 weeks. You are most likely to get a fungal cream or tropical treatment. If it is in your soil, get a company that deals with the removal of mold. If your soil is contaminated, it is even more important for you to eradicate it to prevent recurring infections. Mold is a tricky thing to conquer on your own. Hiring or getting the services of companies that work directly with mold can save you a lot of discomfort and time. Companies such as Mold Busters provide extensive services ranging from checking the property for leaks, and damage that might promote the mold to spread to sampling of your soil is infected or not.